Symbols and Signs - What did the Handprint mean? 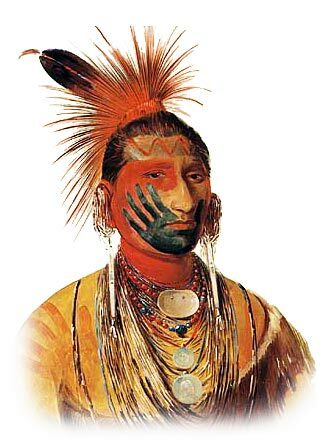 The Native American Indians used many symbols and signs to convey secret meanings. Our illustrated Symbols and Signs guide provide a unique insight into the ancient and mysterious signs and symbols used in their unusual forms of non-verbal communication. For additional information refer to the article on the Interpretation of Symbols. Some of the Symbols and Signs used by Native Americans were simple pictograms. A pictogram conveys a story and meaning through pictures of symbols and signs that signify and resemble the shapes of physical objects or people. An Ideagram is another form of pictogram which conveys complex ideas, feelings and emotions. A pictogram is a form of writing which uses representational, pictorial drawings to tell a story. A full description of the Symbols and Signs and their meanings are detailed for each of the subjects shown on the following list.